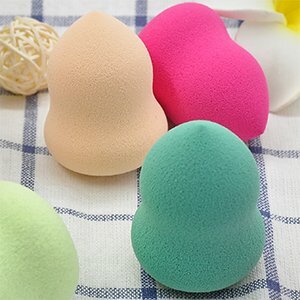 Find Genuine Makeup Sponge Suppliers of China Here! Just like a hairbrush, lipstick, and face wipes are something you will always found in ladies bags; similarly, makeup puff or makeup sponge is also a significant part of ladies makeup pouch. Our makeup powder sponge is frequently used for applying powder, blush, foundation, BB creams, and other such thick creams to get them stick on skin, and retain for a longer time. There won’t be any single top branded cosmetic consumer, beauty product dealer, or those who run Salons and SPA’s, who won’t ask for makeup sponge. The problem is, they hardly found it at an economical price. But at SOFTCARE, we have been providing a wide range of cosmetic sponges at an amazing discounted prices. Our makeup puffs are made from 100 % SBR, NBR, and PU (non-latex), the soft makeup sponge is easily washable, and it is flexible enough to use both dry and wet. It is also suitable for all skin types which is another exquisite feature of our cosmetic sponges and applicators. This is what makes SOFTCARE stand out from other makeup sponge suppliers, as we provide a wide stock of makeup puffs at an amazing discounted prices. The makeup sponge is available in various colors including; purple, blue, orange, red, yellow, pink or customized color. The shapes available are; rectangular, circle, square, and in other fancy shapes as seen above. Being one of the leading makeup sponge suppliers of China, our main aim is to provide the best quality makeup applicator at very reasonable prices to our customers.